Last night I was listening to the soothing sound of the rain on the skylight above my head as I was drifting off to sleep. I love that sound. A signal to the change in seasons, a reason to bring our activities indoors. It also makes me feel safe, the rain being a curtain protecting me from the outside world. Here in the Pacific Northwest the rain will be our companion well into the month of June, at times rendering the back yard into a swampy goo, thanks to the clay soils where I live. This is the part I don’t care for, the hassles of the mud and muck … errands are a soppy affair, and not much fun. New windshield wipers every year, raincoats and boots become a daily uniform. But I will always remember my mom saying “at least you don’t have to shovel the rain” ( She lived in Michigan). We have so much rain here, we even have two different ways to tally the rainfall totals; the calendar year and the water year. The water year runs from when the rains begin the first of October until the end of September the following year. The one that just ended gave us over 40 inches of rain. And our calendar year rainfall may do the same. But the beauty that comes with all the rainfall makes the soggy days worthwhile. All the precipitation is what makes our area so green. We live in a land of old growth rain-forest’s in the coast ranges of Oregon and Washington. The snow on the mountains offers one of the only year-round ski areas in the U.S. on Mt. Hood. We have plenty of water for our towns, our agriculture and the wildlife including our precious salmon. The rain has become a welcome friend each fall, and now that it has returned in earnest there is a period of adjustment. Getting out those raincoats and boots, checking the wiper blades on the car. And curling up listening to the sound tapping on the skylights, washing the streets clean, rushing down the gutters to fill the rivers. The autumn rains are more somber to me, they signal the end of the seasons, getting ready for winter. Watching the storms come and go, the needles fall from the Doug Firs. I love the smells, the sounds. The way the light changes. The photos I chose for this post were mostly taken here, and mostly taken in the springtime actually. But they capture the essence of what rain does for the landscape, the fresh look, the way the lens of the camera sees the light. I remember heading out to photograph some gardens this spring, hoping for sunny days. In the end, I really loved the saturated colors the overcast, rainy days created. 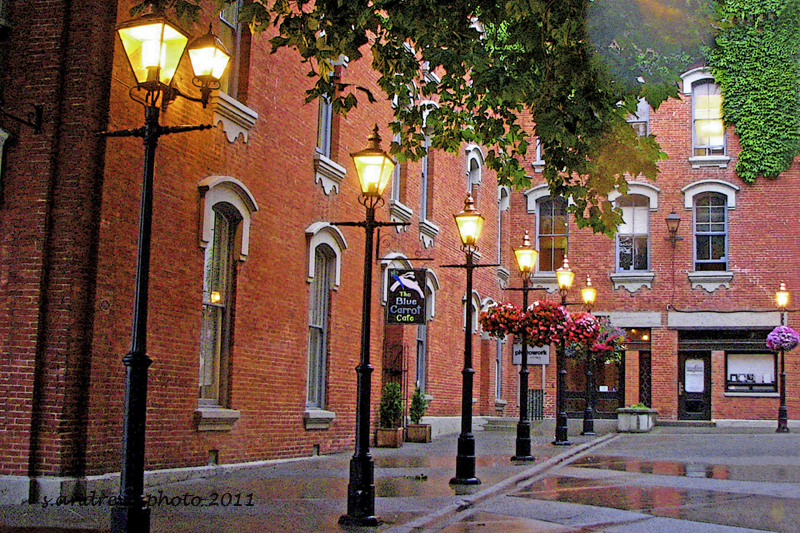 Light reflects on the rain-washed street in Victoria, B.C. 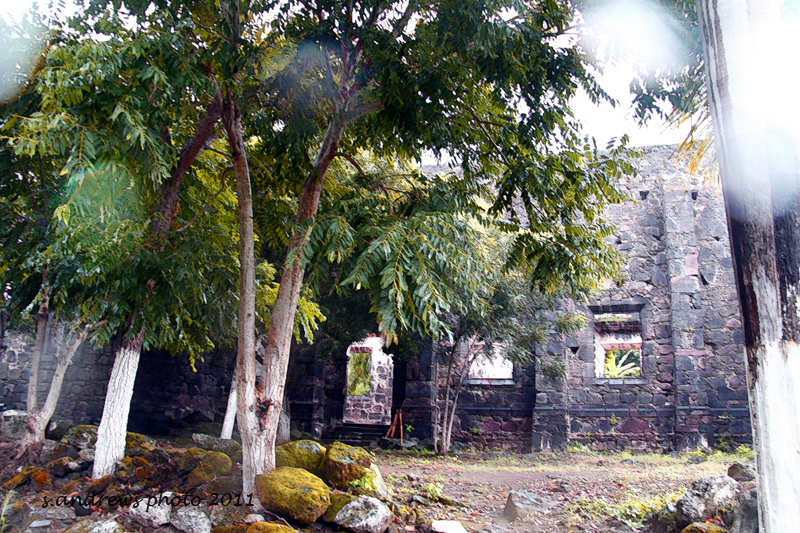 200 year old Mexican ruins, photo taken in October. Raindrops on the lens give the shot a mystical feel. 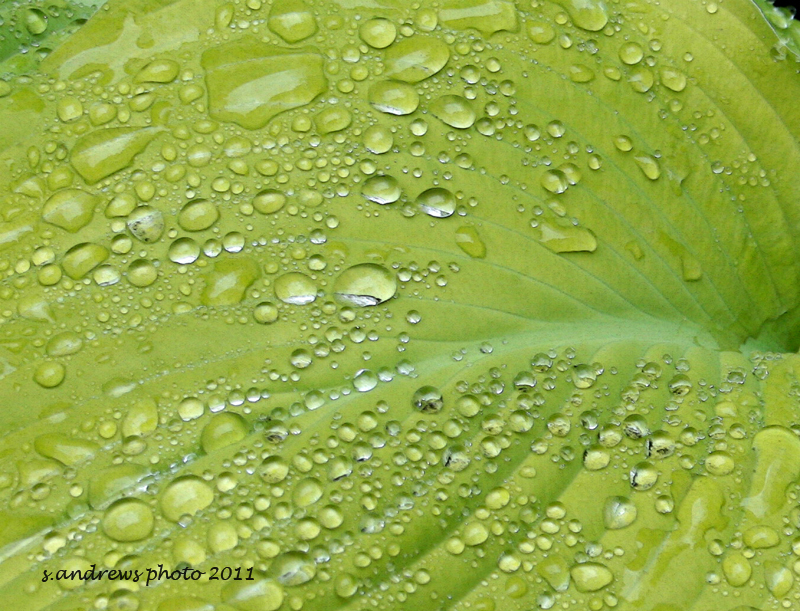 From my portfolio, June raindrops on a Hosta leaf. 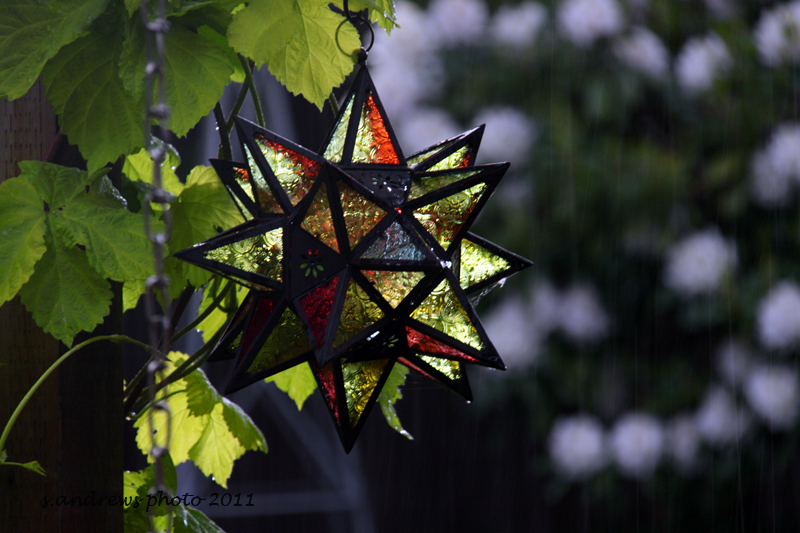 The sun shining thru the rain in my garden creates a curtain of light. 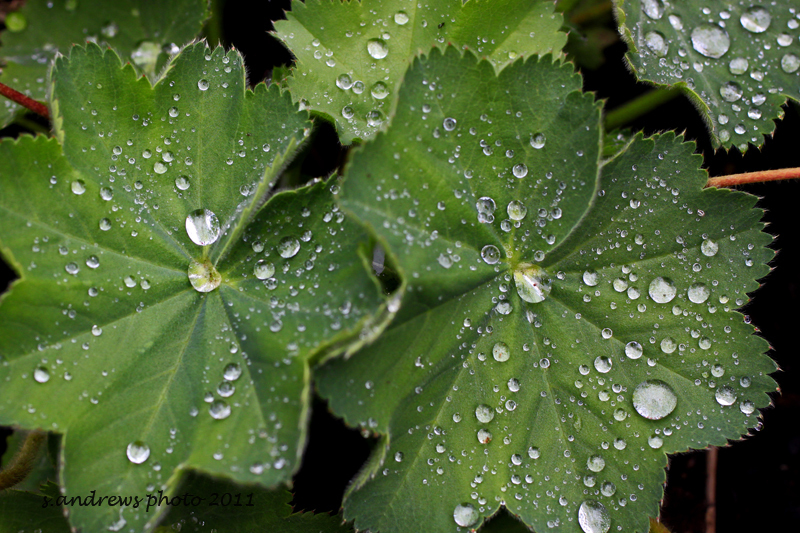 I love Lady’s Mantle in the rain. 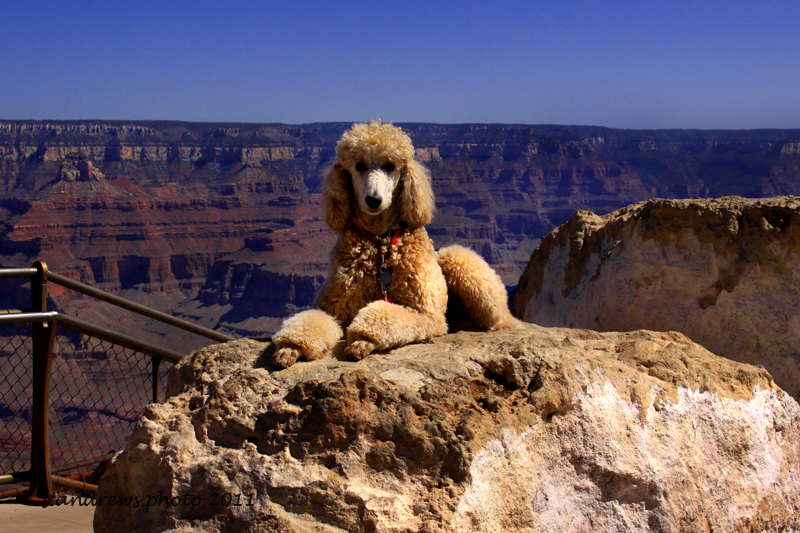 And then there is Rayne at the Grand Canyon, on a beautiful May morning. 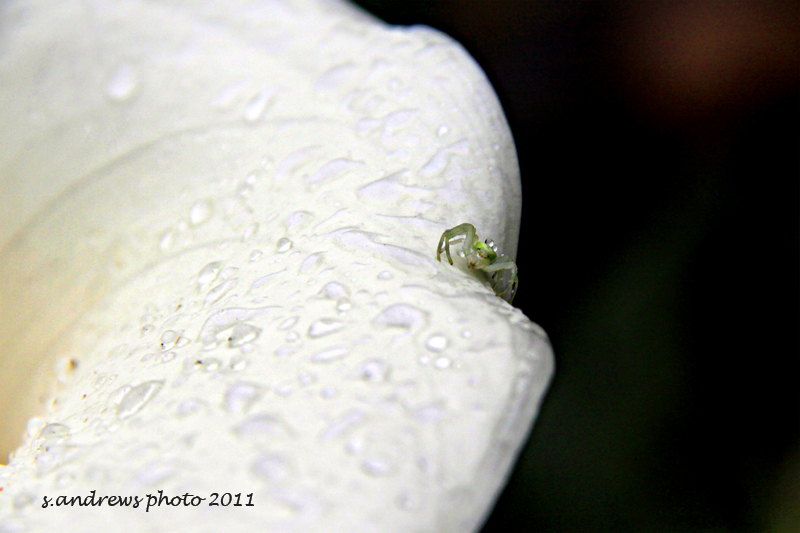 This entry was posted in in the garden, Oregon, out and about, photography and tagged crab spider, Hosta, Lady's Mantle, Mexican Ruins, November, Oregon, rain, rainfall.